New York (AP) — It’s inevitable that a new recording by Chris Cornell would take on an added poignancy following his suicide last year. Yet there’s an extra chill that comes in listening to his contribution to a recently-released collection of Johnny Cash’s writings set to music. The former Soundgarden singer may not seem like an obvious choice to participate in the project, but Cash’s son John Carter Cash recalled meeting Cornell with his father backstage at a show in Seattle in the early 1990s. Johnny Cash later interpreted Cornell’s song, “Rusty Cage,” among the series of recordings that ended his career on a creative high note. 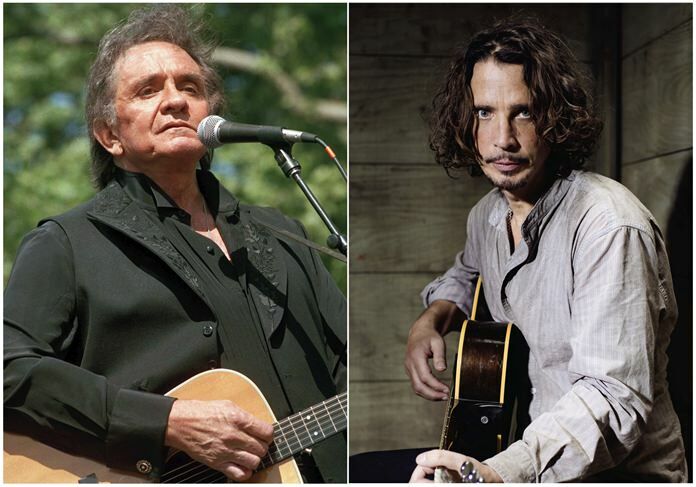 Cornell eagerly agreed to participate when John Carter Cash reached out to him for the “Johnny Cash: Forever Words” project. “Chris connected deeply with my father’s words, and his finished version of ‘You Never Knew My Mind’ tied his own life experience to my father’s on an honest level,” Cash said. Cash and collaborator Steve Berkowitz worked on a book of Johnny Cash’s words last year. The country legend left much behind, besides the songs he wrote and recorded prior to his death in 2003. Some were poems, some were song lyrics. Cash and Berkowitz thought there was more than a book; they were curious about how some of the writing would sound if put to music by some prominent artists, and they set about trying to make matches. Old Cash friend Kris Kristofferson, accompanied by Willie Nelson on guitar, sings one of Cash’s last poems to open the disc. “The songs I sang will still be sung,” Cash predicted, correctly, in the lyrics. John Carter Cash’s half-sisters, Rosanne Cash and Carlene Carter, both offer material. Kacey Musgraves and her husband, Ruston Kelly, sing a love poem that Johnny Cash wrote to his wife June. Elvis Costello, Jewel, John Mellencamp and the Jayhawks are also featured. With “The Captain’s Daughter,” Alison Krauss makes her first recording with Union Station in six years. Cash approached the artists with specific writings and, if they wanted to participate, gave them the freedom to interpret the material as they wanted. Participants share co-writing credits with the late legend.